A designer's main job is to convey information as clearly and quickly as possible. A great designer is able to do that in the most attractive way possible. 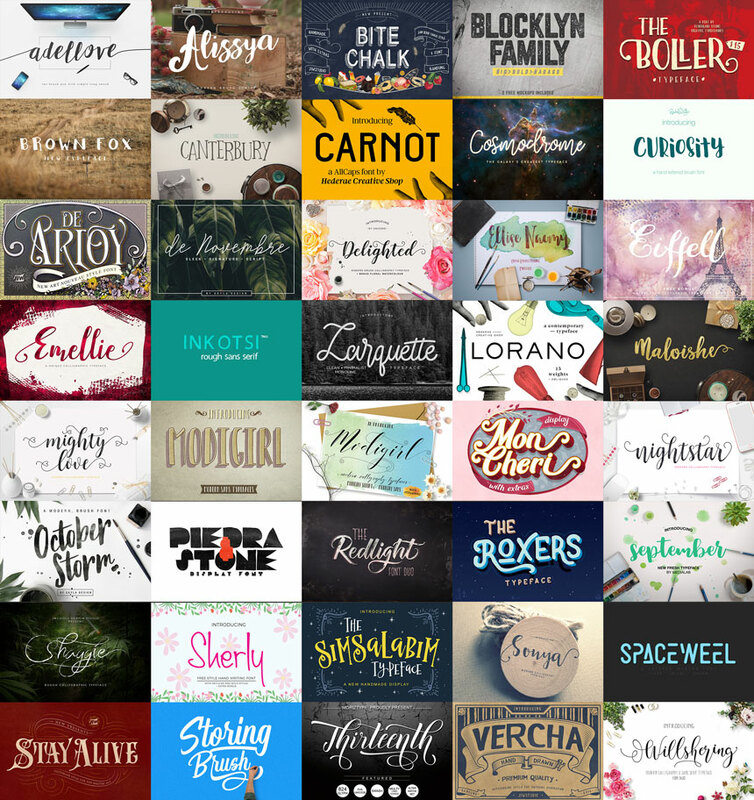 This bundle features 40 absurdly attractive fonts to help you do just that, along with their equally beautiful bonus freebies, including vectors, mockups, and more. Most new designers use the same fonts over and over, so all their work starts to look the same as everyone else. To stand out from the crowd, you need fresh and unique resources, and these 40 fonts are the perfect fit. Check out a quick preview of all the typographic excellency you'll find in this collection, then scroll through the rest of the previews for further amazement. These fonts are so aesthetically pleasing it's ridiculous. Take a gander at the entire set below. Design Panoply lives up to their name, featuring a complete and magnificent array of creative goodies, including fonts like these. DikasStudio crafts fonts that no one else is capable of, making them a must-have for any designer. Banks is a shop with few products, but great care was put into each one to maximize usability and quality. Fusion Labs is a new, independent font studio that doesn't play by the normal rules. 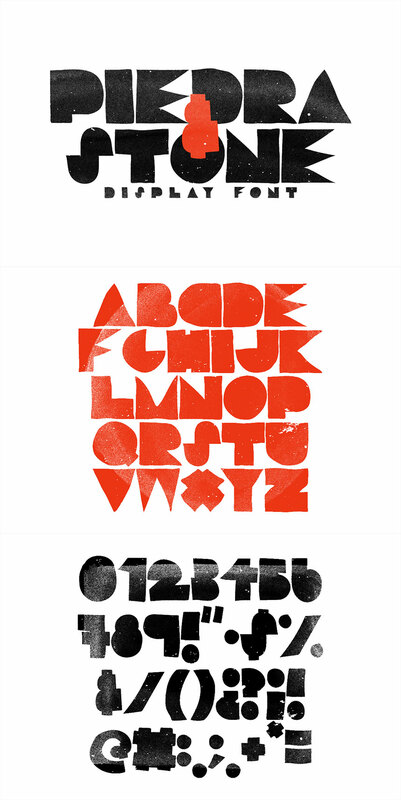 They create typefaces that have a handmade look unlike any other. Hederae Creative Shop is always pushing the boundaries on what most people consider traditional design, resulting in one of a kind fonts. Incools Design Studio pushing to boundaries of normal typeface design, resulting in unique, nearly experimental fonts. Jiw goes the extra mile to make fonts that are extra useful in a variety of situations, and the typefaces included here are no exception. Maghrib is a consistent producer of fonts that everyone loves, and this one is no exception. Maulana Creative is another designer who pushes the limits on font design, making their work perfect for cutting edge designs. Dmitriy at MediaLab possesses typography skills like few others on this planet, making his fonts invaluable in the creative industry. Moriztype focuses on fonts that leave you with the unexpected, which is perfect for designs you want to stray from the norm. Ndroadv has a curious name, and curious knack for producing clean and unique fonts. Noe Araujo crafts highly stylized display fonts, which are great for large text in a variety of projects. Rabbittype is a font designer who is constantly surprising us with unique and attractive typefaces. Rachel White Art is new to fonts, but based on their first offering, has a very bright future in type design. Tegaki is an indie font designer with a unique take on traditional handmade fonts. Unicode does script fonts better than nearly anyone else, and each release features special characteristics that make them one of a kind. Skyla Design has made a name for herself by releasing only top-notch products that every designer craves, and these fonts are no exception. Normally, all of these fonts and bonus extras would cost you $1,142. For a limited time, you can snag everything for only $39. That's 97% off the regular price. After purchase, download the provided ZIP file (it will be very small). Extract the HTML inside and open it in a browser window for instructions and larger download links.